Mt Inerie towers over the landscape near Bajawa, Indonesia. This view is the trail leading to Beleraghi village. With its pyramid shape, it is an eye-catching peak and a beautiful part of the Florinese mountain skyline. 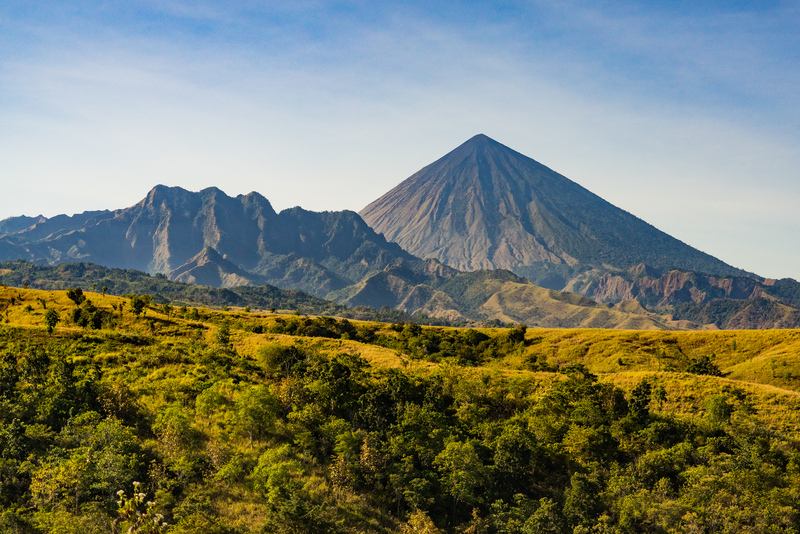 At 2245m above sea level it is one of the highest volcanos on Flores. It is possible to hike to the top in 2.5-4 hours.